Ryan Limb North Dakota State Univ. Kevin Sedivec North Dakota State Univ. Reclamation and Restoration Symposium planned and executed at the 2018 Annual Meeting: Symposium included 9 speakers and a good closing discussion. We are planning to sponsor a symposium at next year’s meeting. This symposium will include paired talks by practitioners and researchers involved in rangeland reclamation and restoration across multiple industries. We are planning to begin work on a paper which explores variability in restoration approaches and outcomes across rangeland ecosystems. We will connect with restoration and reclamation societies and groups beyond SRM, inform these groups of our existence, invite their participation in SRM and this committee, and begin to build networks and relationships across multiple societies. We need to coordinate with other SRM committees whose work includes reclamation and restoration (e.g., invasive species, targeted grazing). We want our committee to leverage, rather than overlap with, efforts by other committees. Invite restoration/reclamation practitioners to SRM 2019. This will hopefully get the word out about our committee and SRM more generally, and enhance Society membership within the community of rangeland restoration/reclamation practitioners. Spread the word about the SRM Reclamation and Restoration Committee to multiple other societies and associations involved in Rangeland Reclamation and Restoration—for example, the Society for Ecological Restoration, the American Society for Mining and Reclamation, the Canadian Land Reclamation Association, and the Ecological Society of America. Membership of our committee needs to reach out to these other groups and tell them about our committee. Chair asks: Can we accept this handbook that is a living handbook that we continue to revise? Proposals to lead papers (Review or position)? Question – how is this group different from other societies that deal with restoration? We have opportunities to collaborate with other societies. Rangeland restoration/reclamation in forests could be a possibility. Membership of our society needs to reach out to these other groups and tell them about our committee. What makes it go wrong? We asked for $3000 to support registration and travel for practitioners to attend the 2019 meeting. Coordinate talks within the Annual Meeting—bring restoration talks/symposia together. Get with planning committee in Minneapolis to work on this. Meeting attendees were a mix of previously-designated committee members and symposium attendees, including: Sheri Spiegal, Lauren Porensky, Jeff Fehmi, Christine Bishop, Steve Parr, Tracy Kupchenko, Randy Reichart, Wade Froseth, Mae Elsinger, Jake Powell, Mandy Williams, Frank Thrall, Kevin Sedivec, Ryan Limb, Darin Sherritt, and Richard A. Orr. Darin Sherritt: Barry Irving and I were talking. There are lots of standards in Alberta vs. none in USA. How bring this down here? Is developing a guide book of success metrics and/or standards the goal of the committee at large, or the goal of a sub-committee? Chair serve for one year or two? Recruit a secretary as well? Description: Rangeland reclamation and restoration are still fairly young as scientific disciplines, but scientific interest and effort in these fields are blossoming. According to the Scopus database of peer-reviewed literature, 81% of the 895 existing articles about “rangeland AND reclamation” or “rangeland AND restoration” were published within the last 15 years. Most researchers working in these disciplines recognize the existence of well-established industries and regulatory procedures that support and guide the practice of reclamation and restoration across a diverse array of rangeland ecosystems. Indeed, in many cases, research projects result from collaborations with practitioners or managers who have outstanding questions about the science of reclamation and restoration. However, the knowledge and perspectives of restoration and reclamation practitioners remain poorly represented within the SRM community. The SRM Reclamation and Restoration Committee proposes to build our Society’s capacity by drawing on practical expertise and highlighting partnerships between science and management in the reclamation and restoration fields. We will pair researcher and manager/practitioner perspectives on five different topics related to reclamation or restoration in diverse rangeland systems. Talks will focus on what works and what doesn’t, similarities and differences between research and management perspectives, and two-way transfers of knowledge between researchers and managers or practitioners. We hope that this symposium will not only provide practical insights for Society members interested in particular topics, but also serve as a reflection on the nature of applied research within the Society. An additional goal of this symposium is to spread the word about SRM within the practitioner and management communities, and ultimately convince more managers and practitioners to become long-term SRM participants. Session Length: Half-day. Each paired presentation will be 40 minutes (30 minute presentation + 10 minutes for questions/discussion). How does moisture availability affect reclamation and restoration on rangelands? From desert shrublands to mesic tall-grass prairies and aspen parklands, rangelands are highly variable in terms of water availability, and this has major consequences for ecosystem structure, function and resilience as well as restoration and reclamation efforts. For example, while restoration in deserts is often focused on creating and maintaining plant cover of any kind, efforts in mesic prairies often aim toward enhancing plant diversity and combating invasive or encroaching plant species. This symposium explores the role of moisture availability as a driver of similarities and differences in restoration and reclamation among rangeland types, with respect to goals, strategies, challenges, and criteria for success. 1:00 PM Darin Sherritt (Tannas Conservation Services, Ltd.): “How moisture gradients affect reclamation of native grasslands in Alberta”. 1:20 PM Matthew Rinella (USDA-ARS, Miles City, MT): “Shrub restoration in the northern Great Plains”. 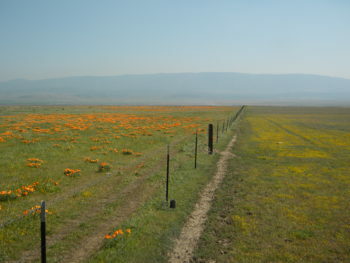 1:40 PM Julea Shaw, Elise Gornish and Leslie Roche (University of California, Davis Cooperative Extension): “Integrated management practices for native grassland restoration in Mediterranean California”. 2:00 PM Todd E. Erickson (The University of Western Australia / Kings Park Botanic Garden), John M. Dwyer, Jeremy J. James, Olga A. Kildisheva, Miriam Muñoz-Rojas, Shane R. Turner, David J. Merritt: “Unpacking seed regeneration for restoration in Australian drylands: complex interactions between species, moisture availability, and soil type”. 4:00 PM Elizabeth Leger (University of Nevada, Reno), Jay Davison, W. Wally Miller, Lauren M. Porensky, Shauna Uselman, Erin M. Goergen, Erin K. Espeland, and Erin C. Moore: “Active old-field restoration in the most arid lands of the Great Basin”. Disturbances requiring reclamation/restoration vary from many small areas with cumulative effects at the landscape scale such as oil and gas wellsites, linear disturbances such as roadways and pipelines, or large areas such as mines. A typical requirement for industrial land disturbances is to reintegrate lands into the surroundings and return the land both to its previous productive use and maintain its conservation related ecosystem services. The re-use and conservation goals may work in tandem or may be in conflict depending on a wide range of practical, social, and regulatory issues. While there has been extensive work to develop recommendations, standards, and practices that work internationally and across continents, the resulting vegetation and its re-use or conservation value varies greatly by both region and site specific situations. This symposium will highlight recent research and case studies from across broad geographic regions to present the current situation and science. The goal is to foster discussion and provide a foundation for reclamation and restoration of rangelands with an emphasis on the practical aspects of the work.